Well made, difficult to use at first, really comfortable. My second baby is currently 10 weeks old. Having a toddler at home too, I find myself relying quite heavily on the hands-free benefits of baby wearing. My newborn was big at birth, but it's taken me until now (6kgs) to feel comfortable putting her in this carrier. Before now, I felt she was positioned too low down, so I elected to use an alternative carrier. Weight distribution is great, and the carrier makes light work of my 6kg baby. 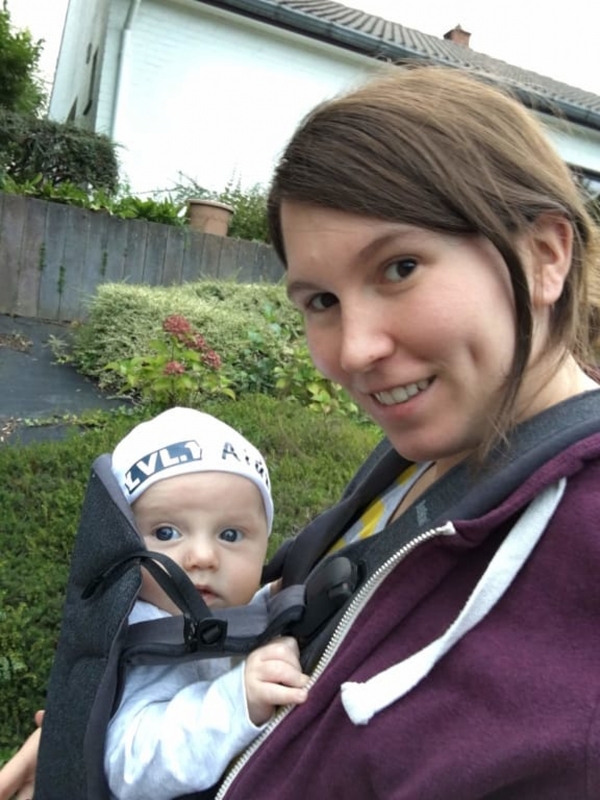 Initially a bit of a faff to get on and get baby into, I'm now getting more comfortable with the straps and buckles, I've found this experience similar with most other carriers I've used. It's quite bulky, but that's to be expected with the amount of weight distribution and support it offers the wearer. I'd definitely recommend this carrier, but perhaps not for a newborn. And I'd still like a carrier I can use to 20kgs. My not-yet 2 year old is 16kgs, so heavier than the 15kg limit. Product is comfortable but could be a bit easier to put it on. This a very comfortable and good quality product. Apr�¨s avoir test�© ce porte b�©b�© a l'occasion d'une ballade dominicale, je dois avouer que je suis tr�¨s satisfait de mon achat. Alors il est certes un peu cher, mais est clairement un investissement dans le temps qui est vraiment int�©ressant. Le porte b�©b�© est facile � installer, les r�©glages ne sont pas tr�¨s compliqu�©s (encore que la notice m�©riterait une petite am�©lioration sur ce point quand m�ªme, en revanche gros plus pour l'�©tiquette qui rappelle toutes les �©tapes pour installer le porte b�©b�© qui se trouve a l'int�©rieur du produit en lui m�ªme). Il est assez confortable � porter (il va falloir ajuster des r�©glages pour trouver la bonne position mais apr�¨s c'est parfait) et b�©b�© est tr�¨s bien dedans (bravo pour les deux positions en hauteurs et les 2 positions de jambes). En bref je recommence vivement ce produit, vous ne regretterez pas. Wir haben die Trage f�¼r meinen Mann gekauft, weil er unsere Tochter nicht im Tuch tragen wollte. Die Trage findet er super praktisch, weil sie sich mit ein paar Klicks schnell und trotzdem sicher befestigen l�¤sst. Jetzt tr�¤gt er sie fast nur noch so :) Perfekt, dass ich sie aber auch nehmen kann, denn im Sommer mal kurz durchl�¼ften indem man hinten kurz aufmacht, ist sehr angenehm! Jag har testat s�¥ mycket men n�¤r jag k�¶pte denna s�¥ b�¶rjade mitt liv komma till liv igen f�¶r jag och bebis kunde f�¥ saker gjorda *tror m�¥nga kan relatera till det* hihi... Oroliga,sjuka n�¤tter har denna varit det dom f�¥tt saker gjorda. Jag har till alla 5 nyblivna och flerbarnsmammor 1. Selen (denna �¤r fantastisk) 2. baby sittern 3. reses�¤ngen och 4. haklapparna och tallrikarna 5. pottan. MEN nr 1 �¤r Selen k�¶pk�¶pk�¶p ! ni kommer aldrig �¥ngra er och det �¤r ett bra andrahandsv�¤rde p�¥ dom. Babybj�¶rn jag ser fram emot vad ni mer kan hitta p�¥. Ce porte b�©b�© est tr�¨s facile d'installation et d'utilisation au quotidien. Peu encombrant. Mati�¨re agr�©able et simplicit�© d'entretien. Test�© au salon baby 2018 et imm�©diatement adopt�© et achet�©. Vraiment tr�¨s pratique d'utilisation : une fois enfil�© il suffit d'ouvrir les attaches rapides, de placer b�©b�© et de fermer les attaches � l'aide d'une seule main. Ainsi pas besoin d'�ªtre deux pour l'utiliser, pas besoin de le mettre d'abord sur b�©b�©. Sa mati�¨re a�©r�©e permet de limiter la sensation de chaleur pour b�©b�© et pour l'adulte qui le porte. Une fermeture �©clair permet de l'adapter facilement � un b�©b�© nouveau n�© et un b�©b�© un peu plus �¢g�©. Un syst�¨me de glissi�¨re permet de caler la t�ªte de b�©b�©. article parfait tant par la qualit�©, que par l'utilisation. Je suis tr�¨s contente de mon achat. J'utilise d habitude une �©charpe de portage mais je trouve que ce porte b�©b�© est bien plus pratique et rapide � mettre en place. Il est tr�¨s confortable et ne fais pas mal au dos du tout. Mon B�©b�© de 3 mois s'y endors tr�¨s vite mais peux aussi profiter du paysage! Har precis k�¶pt denna och anv�¤nt den p�¥ n�¥gra korta promenader med v�¥r 11-veckors bebis. Den �¤r bekv�¤m att ha p�¥ sig och l�¤tt att anv�¤nda, k�¤nns stabil och av god kvalitet. Ett minus att det inte g�¥r att justera banden runt huvudet, v�¥r bebis tycker om att kunna vrida och v�¤nda p�¥ huvudet f�¶r att se runt, plus att det blir lite tr�¥ngt nu med vinterkl�¤der/m�¶ssor. 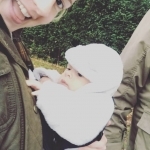 j'ai d�©j� utilis�© ce mod�¨le de porte b�©b�© pour mes ni�¨ces et mon fils ain�©. Super porte b�©b�©. Notre petite s y sent bien et de plus l installation est simple et efficace. Mat�©riaux de qualit�©. Bref je recommande sans soucis. Produit mignon et b�©b�© est tr�¨s � l'aise dedant. Lo prob�© pero el beb�© no acababa de encontrarse c�³modo. Me gusta el tejido, los acabados, etc...pero me espero de la marca que pueda ser m�¡s ergon�³mico. Tr�¨s simple d'installation et agr�©able � porter. I use it around the house doing housework with both hands. 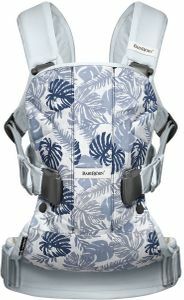 The BabyBjorn carrier is also great for grocery shopping and when we go travelling. We enjoy hiking so it's great bub is safely tucked in and can enjoy the world's natural beauties. It's a fantastic idea to utilise the mesh material to make the carrier more breathable all year round. J'ai utilis�© le porte b�©b�© 6 fois avant que la sangle en plastique � l'arri�¨re ne se casse! R�©sultat les conditions de s�©curit�© pour b�©b�© ne sont pas respect�©es et je ne peux pas l'utiliser. En plus, il n'est pas du tout simple � mettre. trop compliqu�©, trop rigide. On ne peut pas �©tendre les sangles avant. Ma fille ne semble pas confortable dedans. Elle ne l'aime pas. Estamos encantados con poder portear a nuestra ni�±a. La mochila cabe en cualquier sitio, siempre la tenemos a mano y para hacer recados nos viene genial. La ni�±a siempre se nos queda dormida con el balanceo y la cercan�­a a nosotros. No pensaba que me iba a gustar tanto la experiencia. La mochila es consistente y la ni�±a va c�³moda y segura que para m�­ es lo m�¡s importante. Nearly perfect Cons: depending on the fact that mother is tall, average or small, fat or thin, the comfort can vary, even if you can set it tighter or less tighter. Die Trage ist sehr zu empfehlen. Durch leichte und schnelle Handgriffe ist die Trage ruckzuck f�¼r ein Newborn oder Babys geeignet. Das gleiche gilt auch f�¼r die Anpassung der Trage bei verschiedenen Personen. Durch ziehen ist die Trage schnell einer schmaleren Personen angepasst und zum lockern einfach an die Schnalle l�¶sen. Very comfortable and great product for the newborn used this while traveling made my holiday great and my baby felt comfortable and was happyI heartly recommend. I love this baby carrier! It's amazing how comfortable and easy it is to use. By far the best on the market! This carrier was easy to learn to use. My baby sleeps really well in it so it proves very useful when he is unsettled or won't sleep in his pram at the shops. It is comfortable to wear over a couple of hours. My back hurts after extended wear even after making adjustments. I do like the breathable fabric. Ce porte b�©b�© tr�¨s est facile d'utilisation b�©b�© semble � l'aise il est bien envellop�© et b�©b�© est install�© en 2 temps 3 mouvements! Facile � mettre, tr�©s bon produit, position ventre confortable. Bref je le recommande sans probl�¨me. Great product, comfortable to use and baby seems comfortable in it. Compact and lightweight design market it easy to use and transport. Porte b�©b�© pratique et facile � utiliser. Notre enfant aime �ªtre dos � nous et voir l'environnement. Bonjour, j'adore le port b�©b�© one air. Le mod�¨le 2018 a �©t�© am�©lior�©e, le poids du b�©b�© est mieux r�©parti et b�©b�© se sent confortable. L'appuie t�ªte se plie mieux par rapport � l'ancien mod�¨le. Le tissu permet au b�©b�© d'avoir moins chaud. Nous l'avons achet�© pour porter notre b�©b�© durant notre voyage, o�¹ les trottoirs ne permettent pas d'utiliser la poussette. Best support for the back! Enkel att anv�¤nda och v�¤ldigt bra f�¶r bebisar spm g�¤rna vill vara n�¤ra. Anv�¤nder den b�¥de i hemmet och utomhus. This carrier is so handy for shopping to keep my hands free and still have a closeness with my baby. I also love how supportive it is of his weight, the comfort for me as a mum is awesome. Another great thing for the tropics is the mesh! Love that it is a cooler material for me and bub. 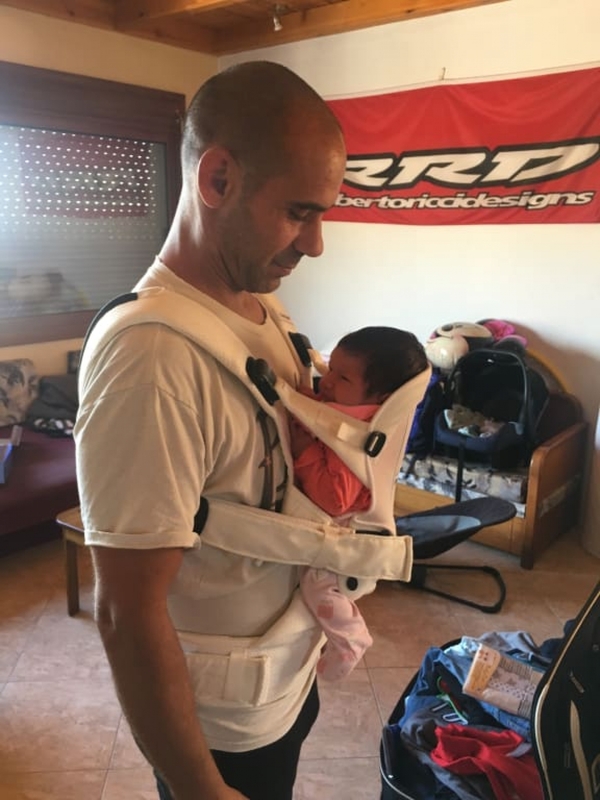 What a nice baby carrier, it offers my baby and me so much more qualitytime. While she is close to me, I can do little chores in the house. We use it when we need to go to the grocery store or the bakery behind the corner. When we go to the doctor there is no place for a baby wagon in the waiting room, so it's much easier to use my baby carrier. Such a handy thing to use, I'm so happy with it. In the beginning it was difficult to adjust everything to my body but after using it a few times, it was clear and it was easy to use. I believe I have tried almost every carrier on the market - and there is no one better than Babybj�¶rn One. Simple as that! It's comfortable both for our child and us, it's easy to use and gives an amazing back support. Even though I am very small and my boyfriend is tall. No other carrier fit me - the others were simply to big. I can only recommend this product with greatest delight! But it! The clips make it so quick and easy to get bub in and of the carrier. This is the only carrier I've owned, however I've tried multi brands in store and this one was the winner! The fabric is so luxe, soft and very fashionable. I had used this carrier many years ago for my first child and bought it again now for my third one. It still remains an excellent product, which provides great support even to newborns. Very easy and quick to put on and off with just one hand which means that you can use it safely on the go. I have tried other carriers as well but have never been as happy as with the Babybjorn Original. It's been amazing. It's easy to get on and off, really comfortable, easy to adjust when my husband uses it. The clips are a great innovation! Highly recommended carrier! Du LUX pour porter ton bÃ©bÃ©! D�¥ligt! Saknar sol- och amningsskydd. Jag m�¥ste ta av sele f�¶r att amma min dotter. My wife and I got this as a present from a dear friend. We have used it when going out ever since. It makes carrying our son around very convenient compared to the bulky buggy. To top it off, it is like having weights while walking so it's like working out. Yey! Utrolig forn�¸yd med denne b�¦reselen! Myk og god, jenta mi sittter perfekt i den. Vi har brukt den b�¥de innover og forovervendt og hun elsker �¥ sitte i den. :-) En perfekt b�¦resele for oss. Comfortable, great support for our newborn, highly adjustable, top product! We have 5 month old twins and bought two of these - one in black and one in navy. Very comfortable on and with baby felt very light once she was in. Took us only a few minutes to work out how to use it. The mesh material is very soft. Highly recommend this product. Bought this carrier as it was suggested I tried one as my little one struggles to settle early evening. I also wanted a carrier to wear out and about and also around to house to carry out house work. After looking around at different carriers I settled on the Bjorn original. I chose it for its looks as I wanted something compact and modern looking as I don't like all the straps on other carriers and slings. Looks great. Easy to put on and assemble. Great quality and great price. Only used it a few times so far and my little one seems to like it. Can't wait to take him out and about in the carrier. Es muy c�³modo y ergon�³mico, el beb�© se duerme cuando lo utilizamos y hasta ahora lo hemos usado desde que pesa 4kgd sin inconvenientes gracias a la gran cantidad de cintas para ajustarlo. 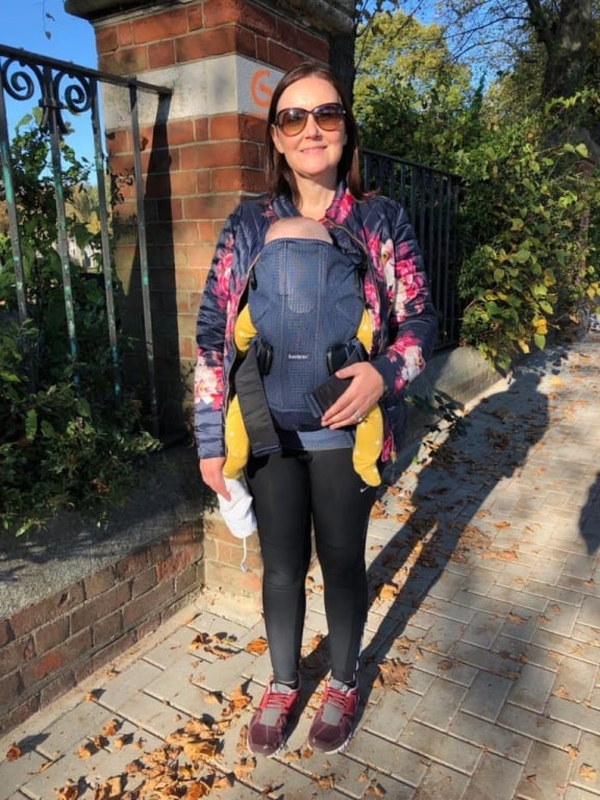 We had tried some baby carriers on a huge baby shop and this one has by far been the best in terms of weight, ar flux (breathing ), position and long term adaption. We tested all with the baby to be sure and One Air was the one the baby seemed to be more comfortable. We have used it for more than 4 hours straight with no problems or fatigue. The only carrier you'll need! My SIL was the one who recommended this baby carrier to us and we bought it when my son was still too small for me to use it. As soon as my son met the minimum weight requirement, I started using my baby bjorn carrier. My son just loves rubbing his face on the mesh though so it's a good thing that I can fold the head support part! I definitely love this and it's budget-friendly! It just takes some time for me to get used to it and find the perfect fit, but other than that, it serves its purpose quite well. The baby is relax in it. Easy to use. 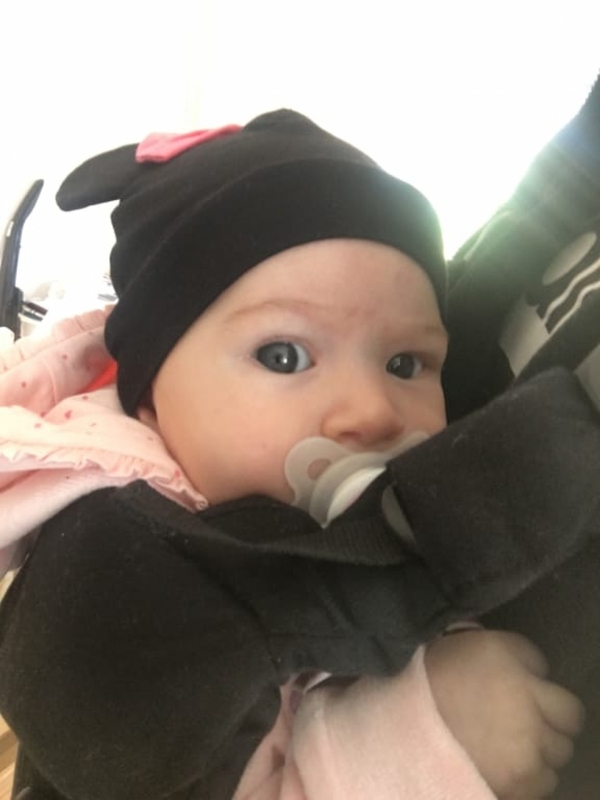 It's easy to use, lightweight, and easy to put on and my baby likes it a lot when we are going to walk either in the city or in the woods. I have been using this product since my daughter was 4 weeks old. It's so easy to fit together and slip her in and out of it. I love using this when travelling via tube or bus. You don't require all that extra space like you do when using your buggy and i can easily take her out of the carrier to feed her if i manage to get a seat. So with the free hands i am able to carry some light shopping or easily manoeuvre myself to get things out of the changing bag. Finally woth being so close to me the warmth and comfort easily lets her nod off. All this for a great price. Just got this carrier as a present and i must say this is one of the best presents i got. I have an old carrier (different company) i got from friends and the difference is amazing. The back support is great, I can walk with him for long distances with ease and comfort. 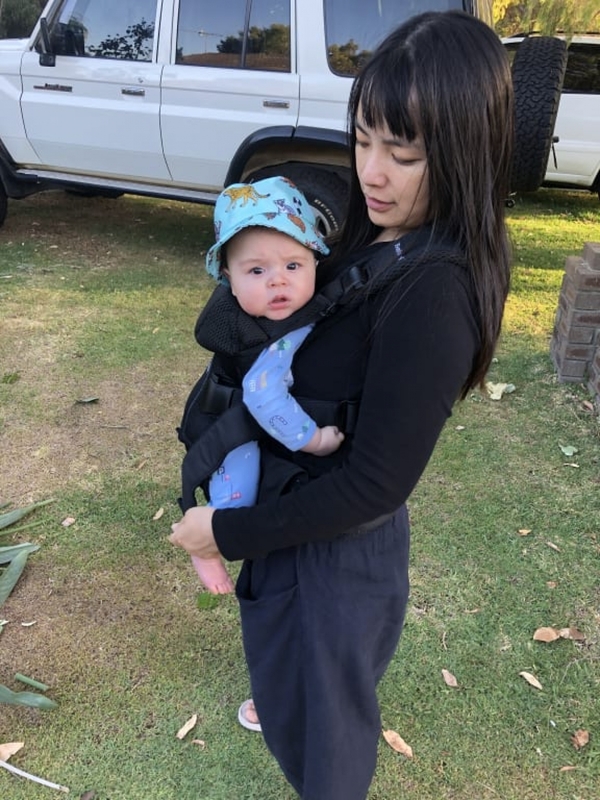 The carrier is also great for my baby, he sweats quite easily and in the old one he would get hot as soon as i put him in. Now with the mesh fabric he is breezy and cool and so are we! 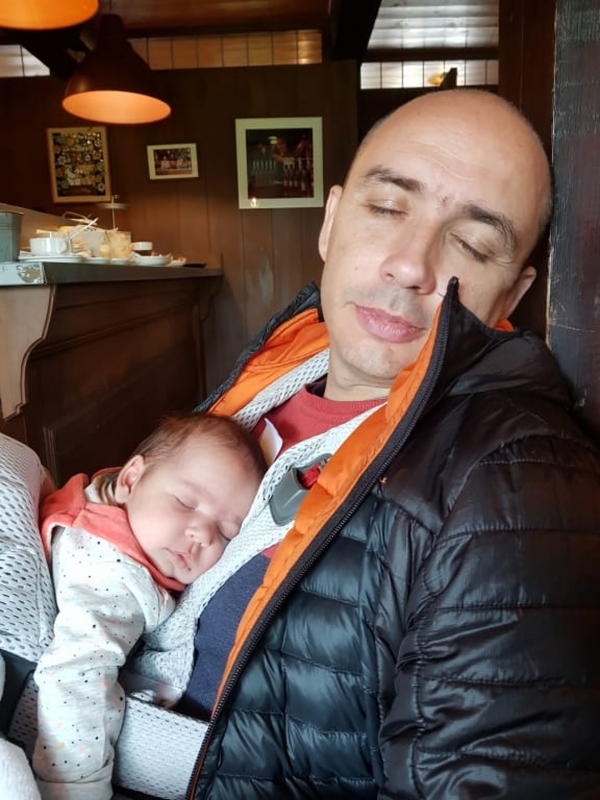 B�¥de jag och min man har anv�¤nt b�¤rselen �¤nda sin min dotter var nyf�¶dd, hon �¤lskar den, hon blir lugn direkt n�¤r hon blivit lite gn�¤llig och vill ha n�¤rhet. F�¥r mycket mer saker gjort i hemmet n�¤r hon �¤r i den, kan g�¶ra lite enklare st�¤dning, och laga mat i lugn och ro utan att beh�¶va ta upp henne j�¤mt. V�¤ldigt praktiskt n�¤r man ska ut och handla eller ta enklare promenader s�¥ man slipper ta med barnvagnen. Brukar �¤ven natta barnet ibland i den n�¤r hon har sv�¥rt att komma till ro. I just bought one of these and I am very satisfied. The One Air is good for my baby because he sweats a lot. Great product, safe for baby and confortable for parents. Great product. Very handy to go to supermarket or take the bus. Great carrier. I've tried other ones but this was the easiest and most simple to use. I used a miracle first and liked the back support. It's the only thing missing which would be desirable for this newer carrier. I like how you can wear it out if need to so it's one less thing to carry when you're not using it. Mon b�©b�© est pr�¨s de moi en ext�©rieur. This carrier is THE accessory that you need to carry your baby. it's easy to use and there is no chance your baby will be uncomfortable. It's also comfortable for the one who is carrying the baby. Muy contenta con la compra por su uso sencillo, porque vamos c�³modos tanto mi bebe como nosotros y porque gracias a su nuevo tejido, el beb�© no suda. Merece la pena la inversi�³n. I got this carrier after my little boy was born and it is amazing. When he was really small I found that soft wraps worked a little better but now he is 3 months old and it is perfect! He loves being in there and falls asleep so easily. The fabric is soft and breathable and the clip system on the front is so easy to use I love it!! It is awesome that there are different heights for different ages in the one carrier and that you have the option to carry on all different positions! I am so happy with this product and would highly recommend to any parents to be. We will get years of use out of this! Thanks baby Bjorne! !